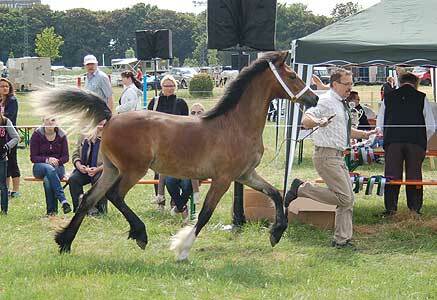 H-S Major Tom was at the sport-pony stallion show in Berlin. 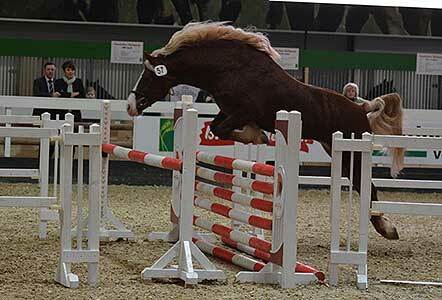 He was reserve champion Welsh Cob and 5th of all stallions in the jumping competition and 8th in the combination of jumping, dressage and in hand showing of all sport stallions. 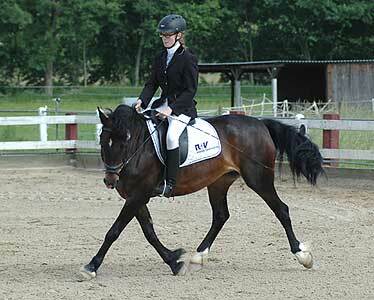 Tommi was very well presented under saddle by Juliane Jordan. 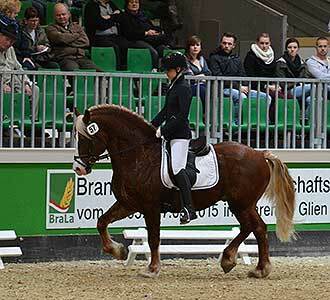 It was a great weekend with our reginal team form Hessen. 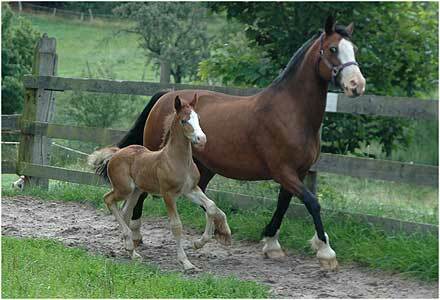 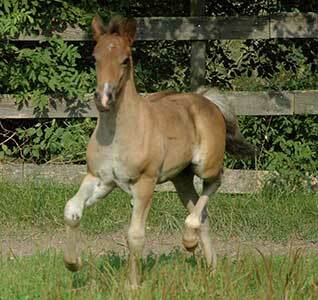 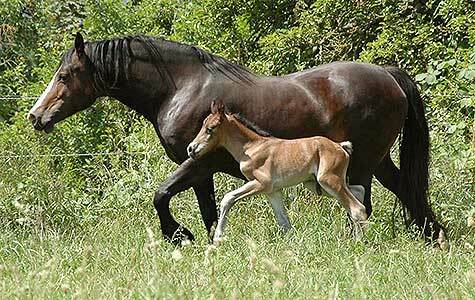 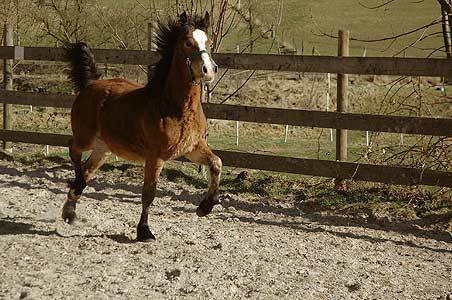 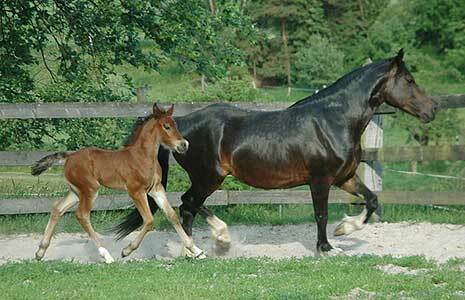 We would like to thank also our regional breeding organisation Verband der Pony- und Pferdezüchter Hessen e.V. 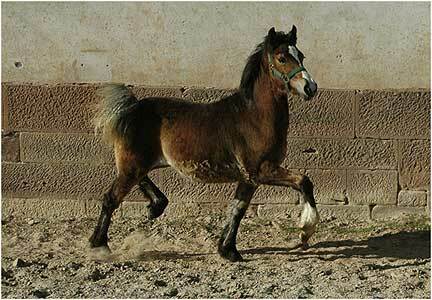 Today we took some new photos of our colt foal out of Bergtor Madleen and by Pennal Sam. 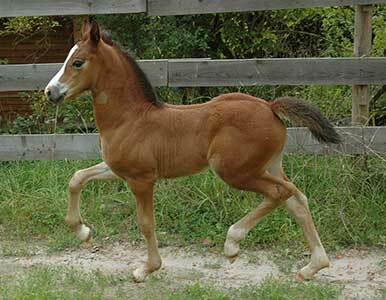 We named the colt Bergtor Sherlock Holmes. 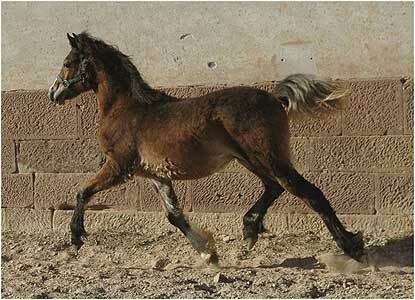 He is developing very well and will be dark bay like his mother. 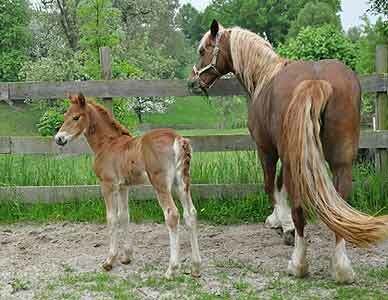 Our 2. foal in 2014 was born. 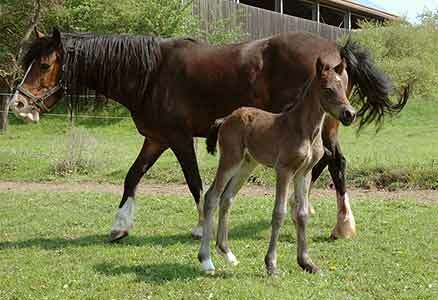 It is a beautiful filly foal out of Deroks Welsh Model and by Flavo Cliff. 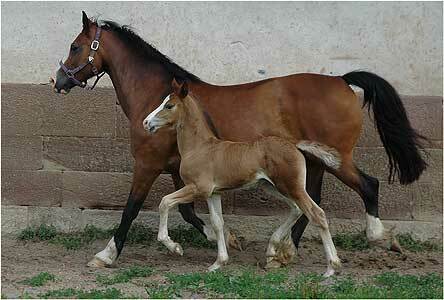 This combination was a special wish of Regina. 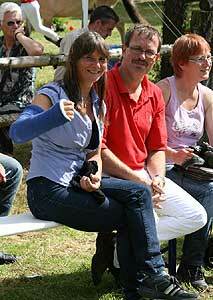 And we all are happy with the result. 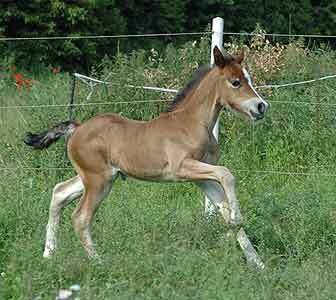 The filly will be named Bergtor Mabel. 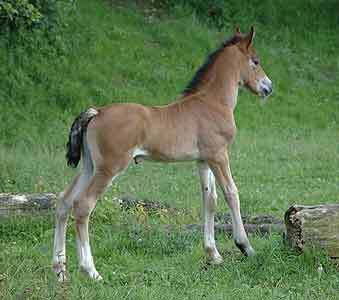 Kirsten and Ali Aslan form Majestics Stud sent us a photo of the beautiful colt foal Majestics Morning Star. 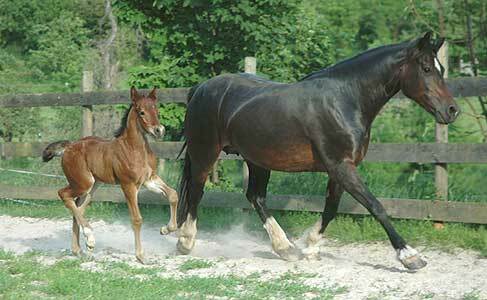 Morning Star is out of Majestics Eternity and by our senior stallion H-S Major Tom. 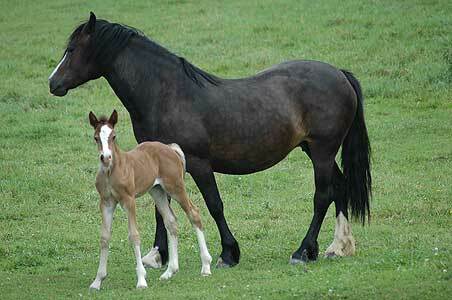 Last Sunday we got the first foal in 2014. 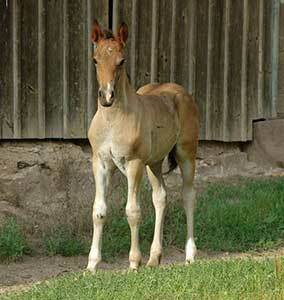 It is a very nice colt foal by Pennal Sam and out of Bergtor Madleen. 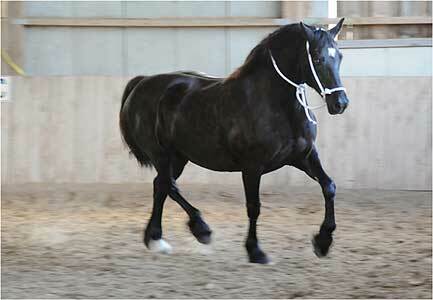 Today we took some new photos from our young stallion Pennal Sam. 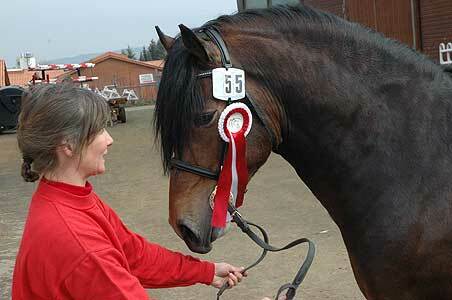 For this years season Pennal sam will go to the H-S Stud of Heinz Spiekermann in Bochum. 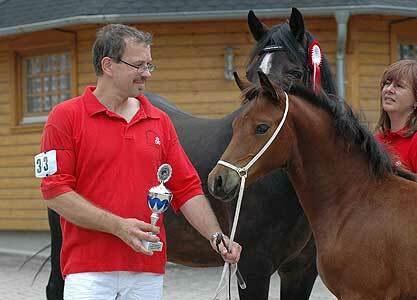 We are always happy to hear about our sold Bergtor Cobs. 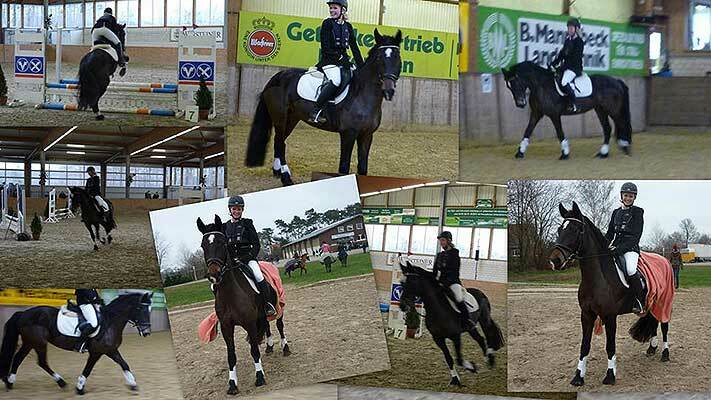 Today we got an e-mail from the owner of Bergtor Ma Fleur (Bergtor Momo x Menai Firelight) with the attached nice photo collages. 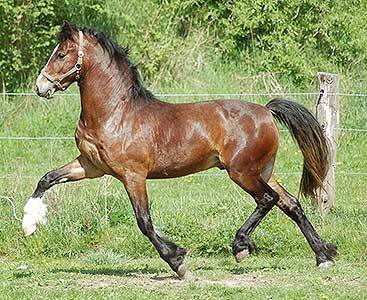 Bergtor Rose Lynn is sold. 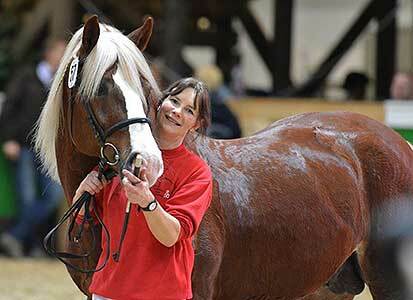 She has a very nice new owner. 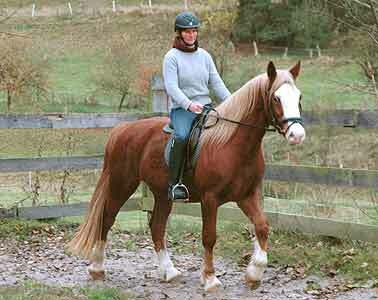 Rose likes her new owner very much. 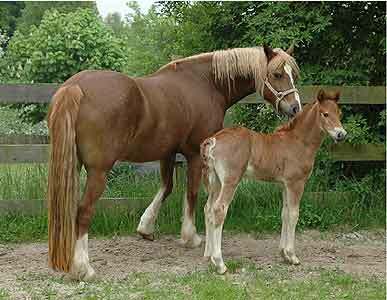 It was love on the first sight . 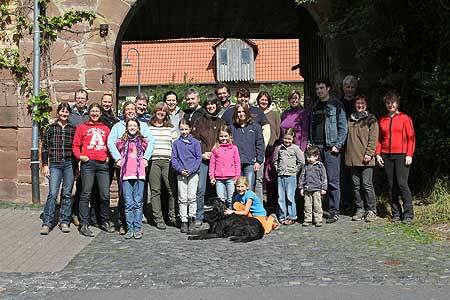 We are happy that Rose will stay not far away in Hessisch Lichtenau. 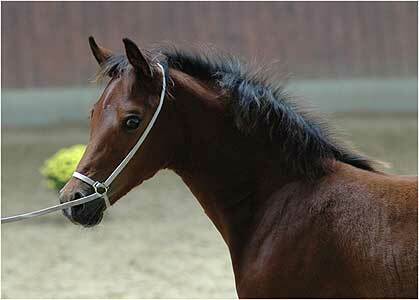 Bergtor Black Rose treveled to her new home at H-S Stud in Bochum. 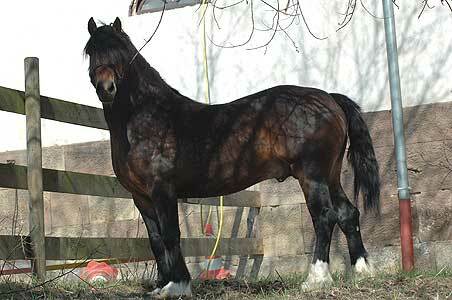 We wish the new owner a lot of fun and success with Black Rose. 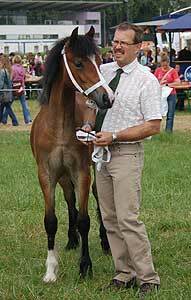 We joined the regional IG-Welsh Show in Rechterfels, Weser Ems with our mares Bergtor Megan and Menai Cardi Doll. 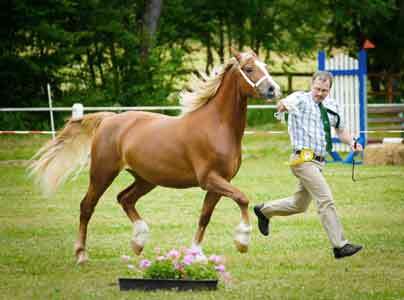 It was a nice show with a very well prepared show ground and lot of gentle Welsh pony and cob enthusiasts. 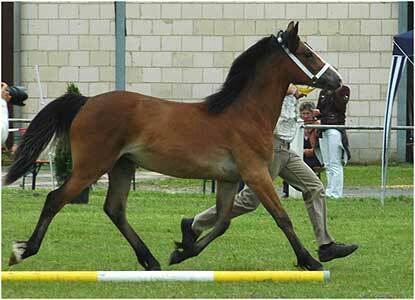 Cardi Doll was placed 4th in the big class of Welsh cob mares. 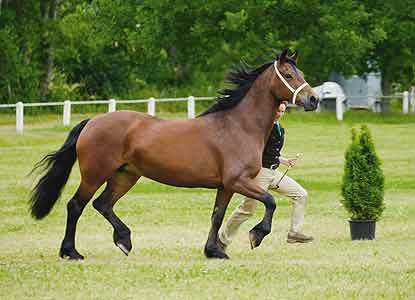 Megan was placed second and could also reach the reserve Welsh Cob championship with the Welsh Cob mare Rune Wanja placed first. 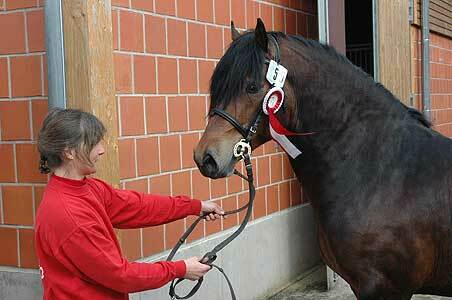 We joined the regional IG-Welsh Show in Grünberg, Hessen with our mares Bergtor Megan and Menai Cardi Doll. 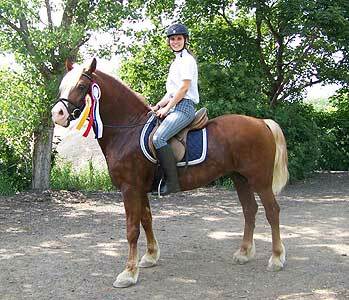 Megan was placed first in the class of the young Welsh Cob mares and Cardi Doll was first in the class of mares over 8 years old. 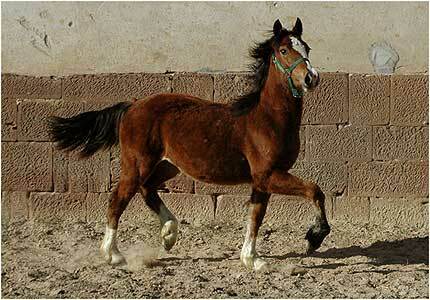 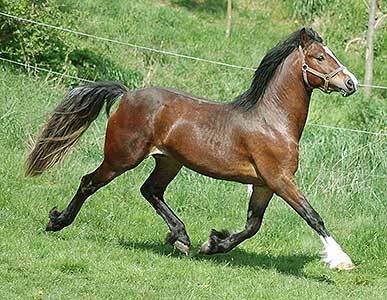 Cardi was also placed first of all Welsh Cob mares and could win in addition the Welsh Cob Championship with the Stallion Chery Jamiro placed second. 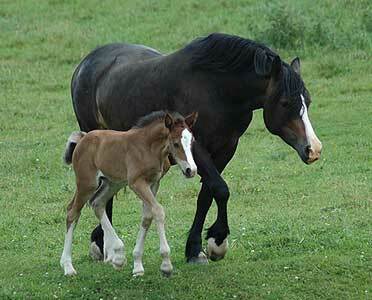 Today our last foal for 2013 was born. 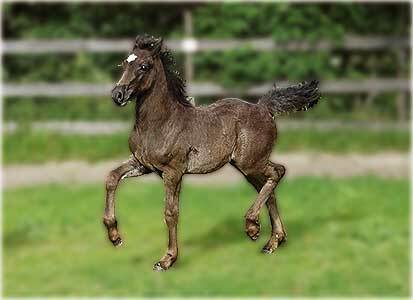 It is a very nice filly foal from Deroks Welsh Model by Geler Glyndwr. 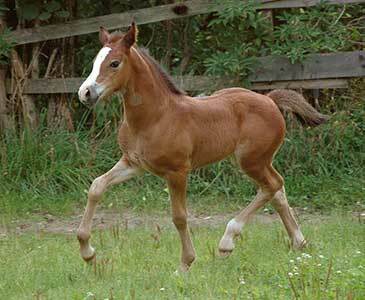 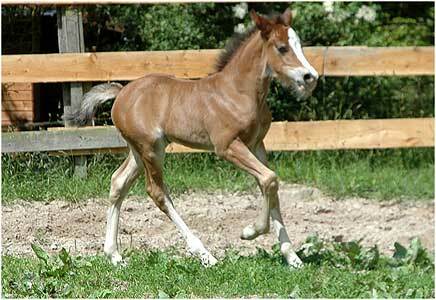 The filly is bay with 3 white socks and it seems that he will be a very good mover. 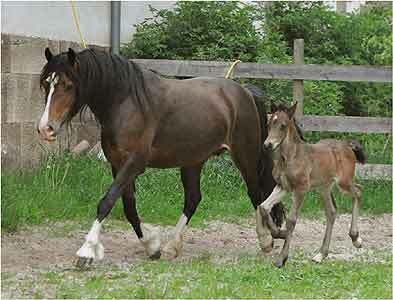 We will name her Bergtor Miss Molly. 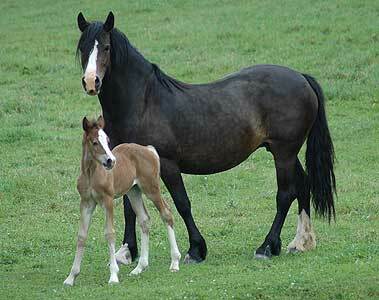 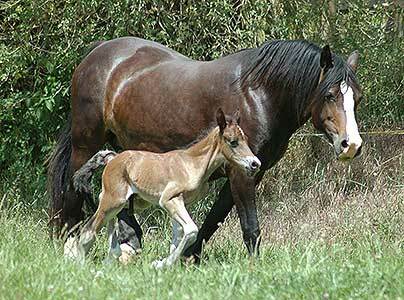 This night the third foal was born. 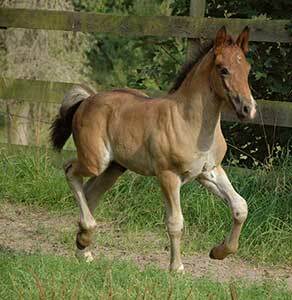 It is again a very nice filly foal out of Nebo Lady Jane and like all other foals this year by Geler Glyndwr. 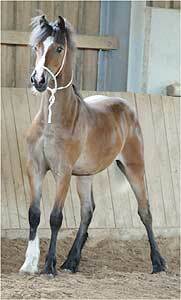 It is a bay filly and the name is Bergtor Lady Luna. 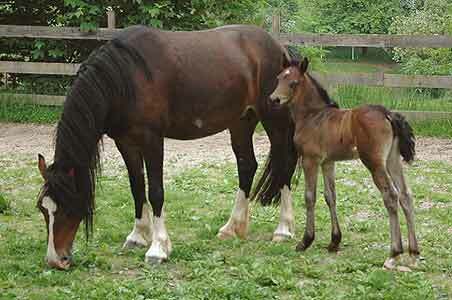 Tonight we got the second foal. 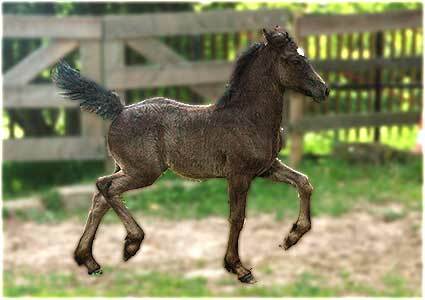 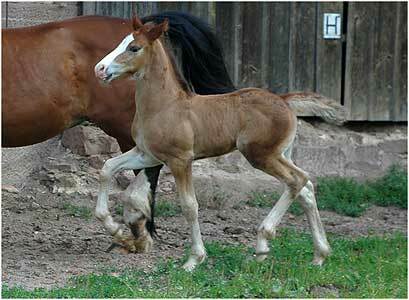 It is also a filly foal. 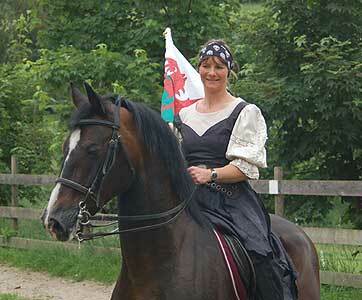 This time a black one out of H-S Rachel and by Geler Glyndwr. 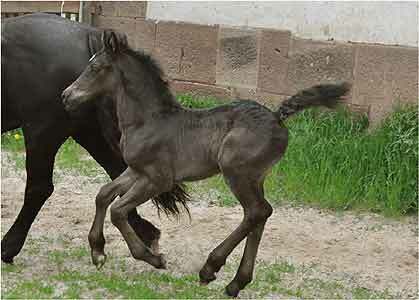 Name of the filly is Bergtor Black Rose. 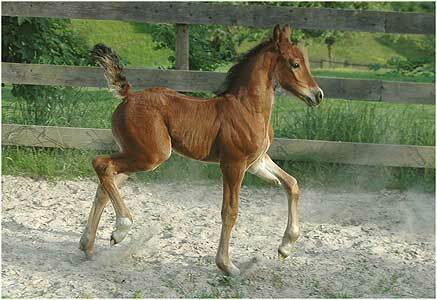 Today we got the first foal in 2013. 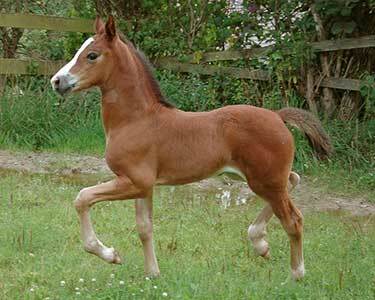 It is a very nice chestnut filly foal out of Bergtor Meggy May by Geler Glyndwr. 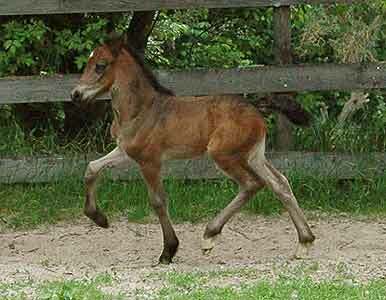 We will name the filly Bergtor Mariella. 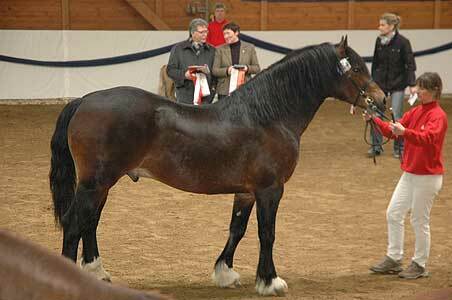 For this years breeding season our stallion H-S Major Tom is at Heinz Spiekermann´s H-S Stud in Bochum. 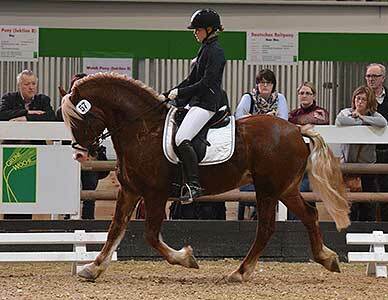 Bergtor Red Marvel is sold. 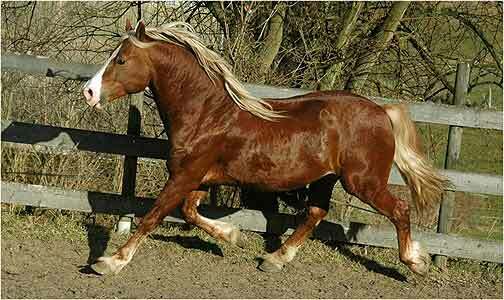 Today he moved to his new owners to . 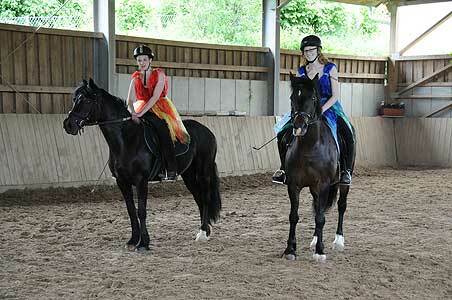 In the last weeks Regina and Katharina started to ride him. 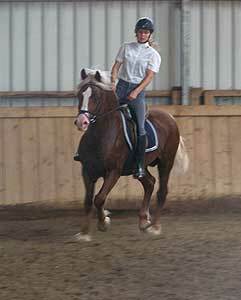 Already after a short training time Katharina was able to ride Marvel riding figures in our riding hall. 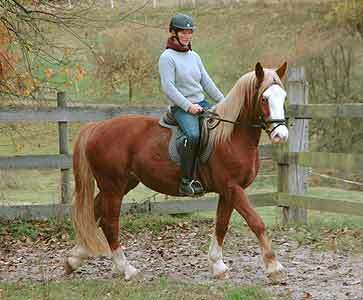 Marvel will be used in the future for riding and driving. 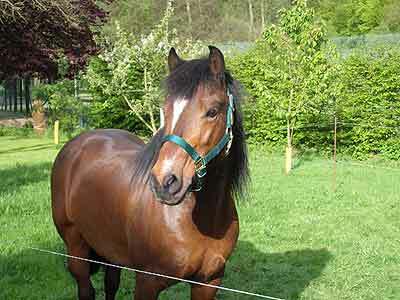 We are happy that we found so nice and gentle Welsh cob experienced new owners for Marvel. 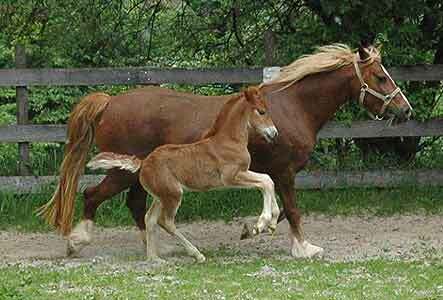 We wish the Dickel Family a lot of fun and success with Marvel. 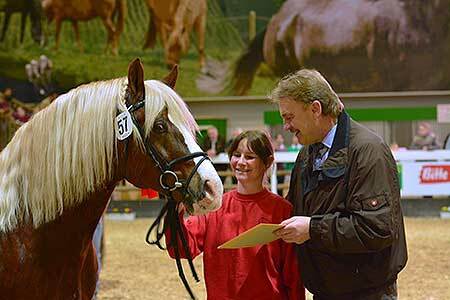 During the occasion oft he Elite Brood Mare Show in of our regional breeding association we were awarded by the Government Department for Agriculture with the Hessian Horse Breeding Award 2012. 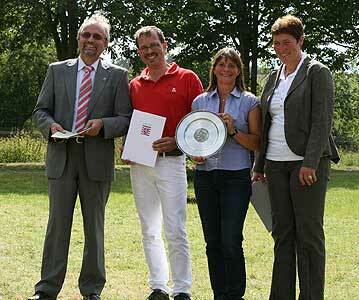 We are very proud of the Award because it is awarded only to one breeder per year. 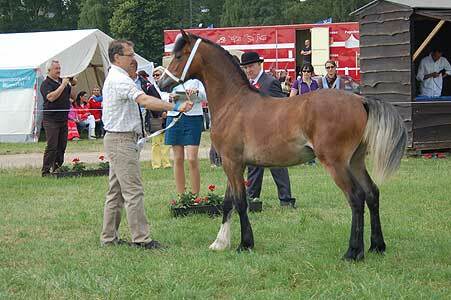 With our 2 years old filly Bergtor Megan we reached a good 4. place in the big group of Welsh Cob mares. 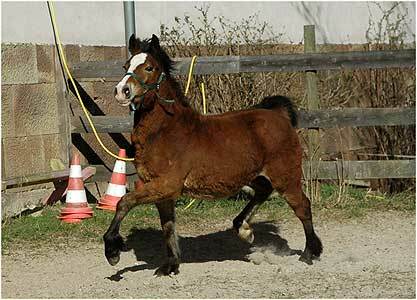 At the regional Foal Show of the local breeding association (Zentrale Verbandsfohlenschau) we started with Bergtor Layla (Geler Lois x H-S Major Tom) in the filly foal class. 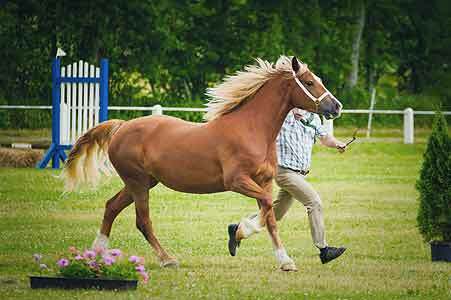 Bergtor Layla was placed 2nd in the Welsh Cob class and at the end of the show she could reach also Reserve Championship of all Welsh sections. 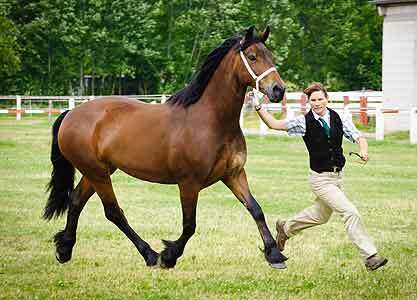 We would like to thank our friend Iris for her great help during the show. 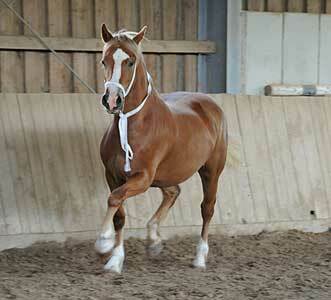 We wish the new owners a lot of success and fun with Firelight. 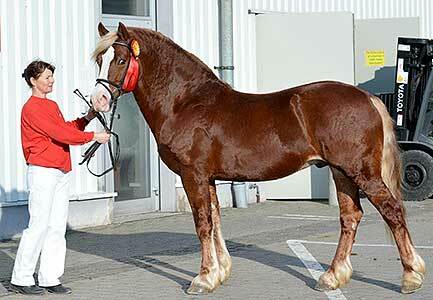 We started with our stallion H-S Major Tom at the regional IG-Welsh show in Thüringen. 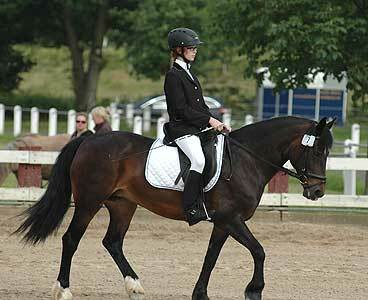 Ridden by Johanna Tommi was first under saddle and also in hand champion section D of the show. 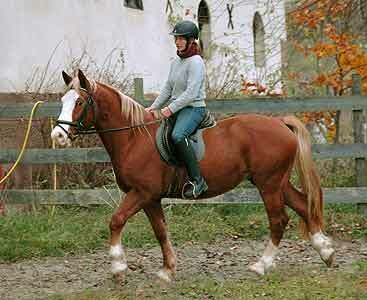 In addition he could win the Section D Cup, a combination of riding and in hand showing. 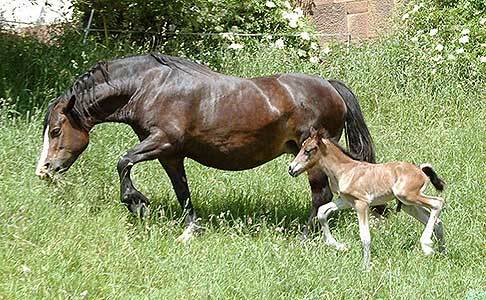 Today our last foal for 2012 was born. 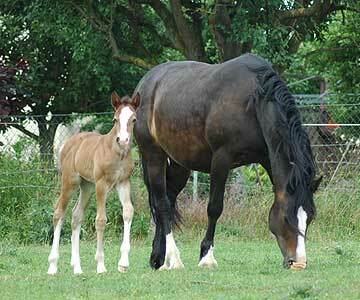 It is a very nice colt foal from Deroks Welsh Model by H-S Major Tom. 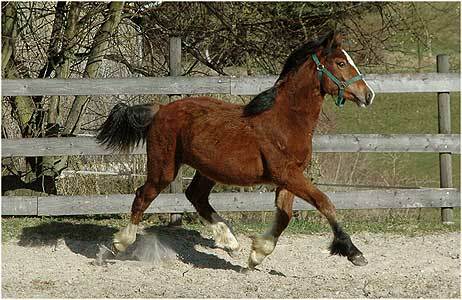 The colt is bay with 4 white socks and it seems that he will be a very good mover. 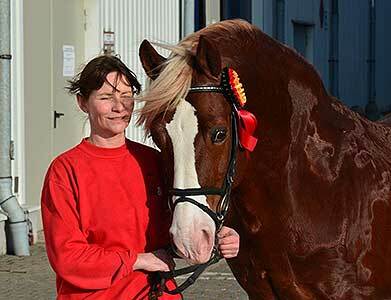 With Bergtor Momo and our one year old Welsh Cob filly Bergtor Marian we started at the regional IG-Welsh show in Gruenberg. 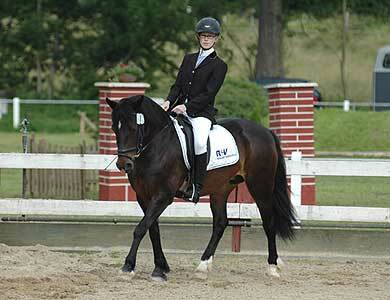 Katharina started with Momo in a dressage and a jumping competition. 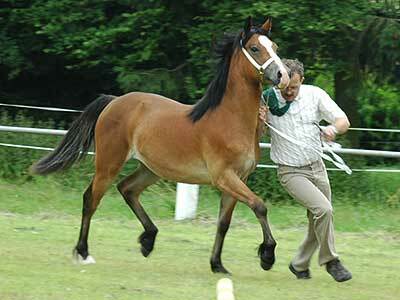 Marian was presented in the in hand show and reached the Young Stock Championship. 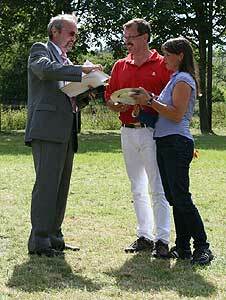 Bergtor Freddy Mercury is sold to Silvia and Olli. 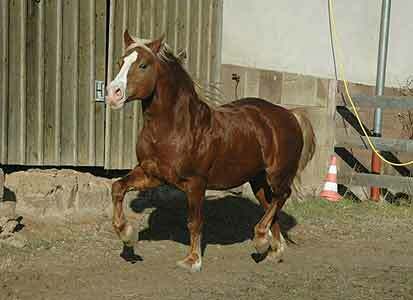 They are the owner of Ramiro, a horse gelding, standing in our stable. 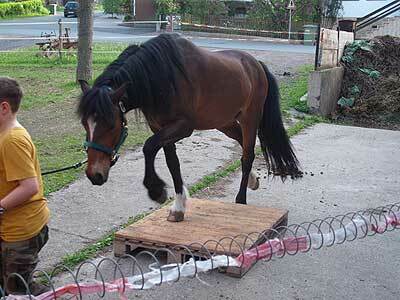 So we have the possibility to see Freddy´s further development. 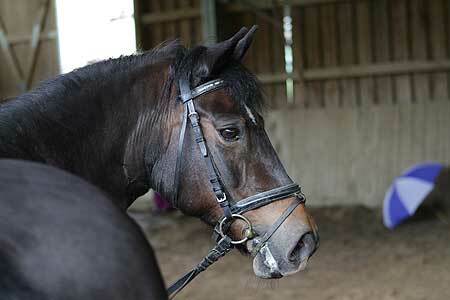 We wish the new owners a lot of success and fun with Freddy. 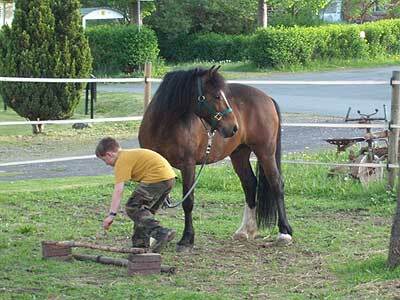 Due to the 20th anniversary of our Welsh Cob Stud Bergtor we performed a Stud open Day. 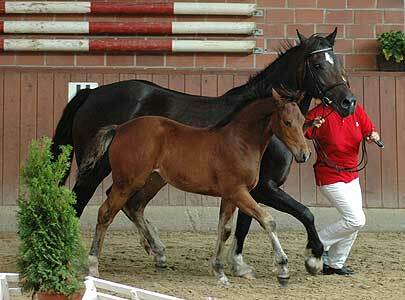 In the morning we presents the youngstock, the mares and the foals to the audience. 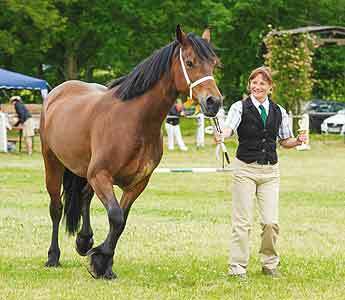 After a lunch break we showed some riding, driving and handling presentations, and in the afternoon we showed the colt Pennal Sam and our stallions Flavo Cliff, Menai Firelight, Geler Glyndwr and H-S Major Tom . 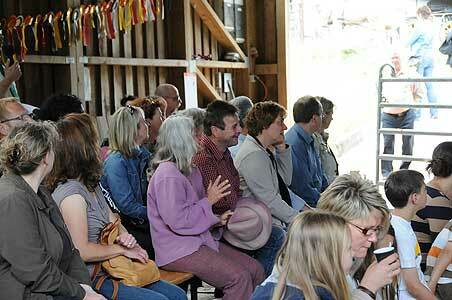 During the sunny day we had more than 200 visitors. 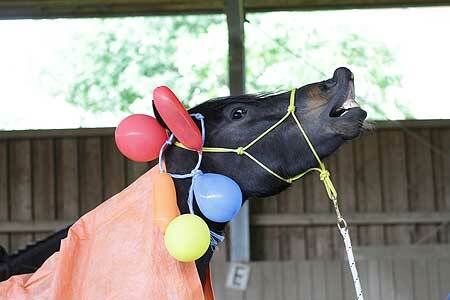 We had a lot of fun and we would like to thank all our friends and supporters who made that day possible! 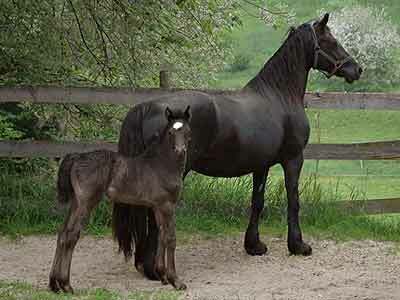 Today we got the long expected foal out of Bergtor Madleen by Menai Sparkling Magic. 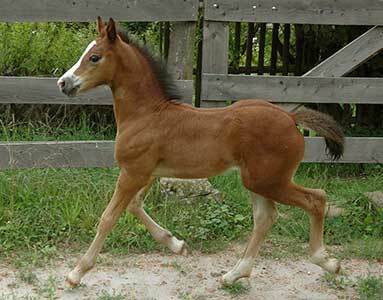 It is a very nice and beautiful filly foal, the very last of Menai Sparkling Magic. 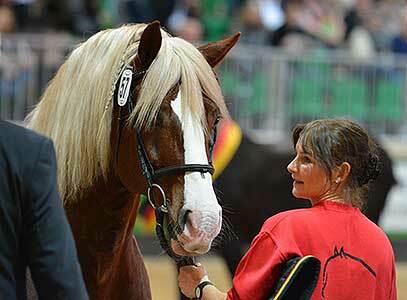 With our one year old Welsh Cob colt Pennal Sam we started at the in-hand show at the regional IG-Welsh show in Neuss during the “Equitana open air”. 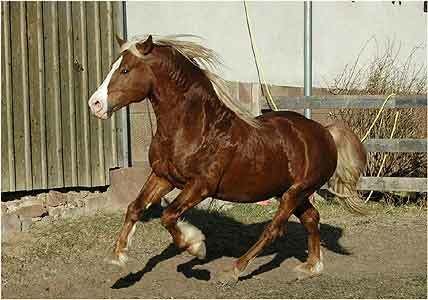 Although Sam was placed 3. in the class of one year old cobs he presented himself very well and he got a lot of adherence of the audience. 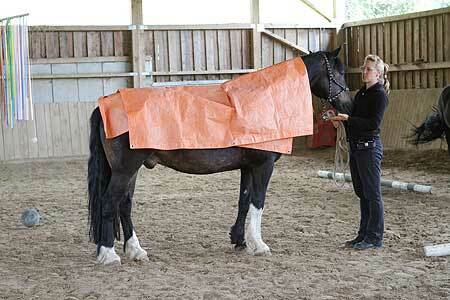 A special training course for horse calmness was performed at our stud by our regional IG-Welsh organization. 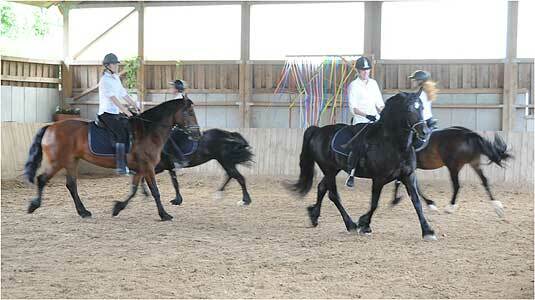 About 30 participants, some with their own ponies or Cobs joined the training. 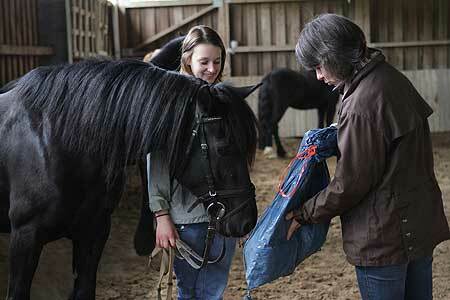 Mrs. Sabine Schäm supported by her daughter was a competent trainer for the event. 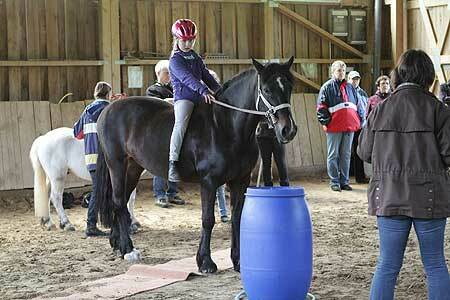 All participants as well as the ponies and Cobs had a lot of fun during the day and demonstrated their calmness! 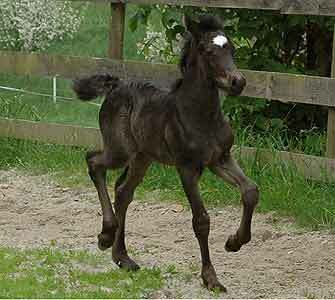 Today we got our first foal in 2012. 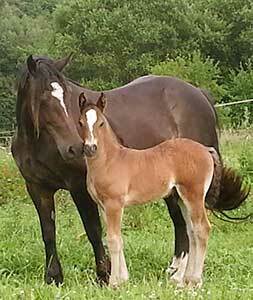 It is a beautiful bay filly foal from Geler Lois by H-S Major Tom. 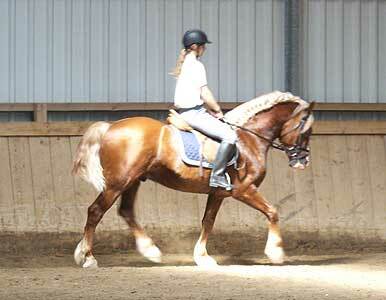 Our section C gelding SHE Sunny Boy is sold and moved directly to his new owner. 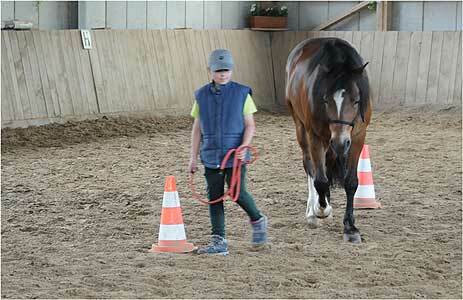 He is now with friends of us and is the riding horse for the 8 years old son of the family. 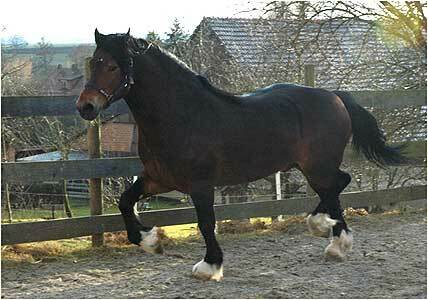 As he is not far away from us we will visit him soon. 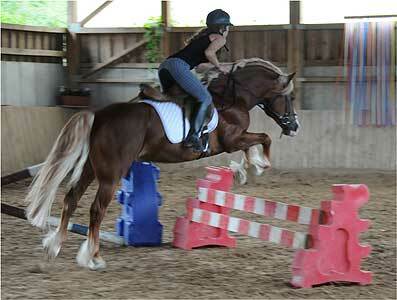 We wish his young owner all the best and a lot of fun with Sunny! 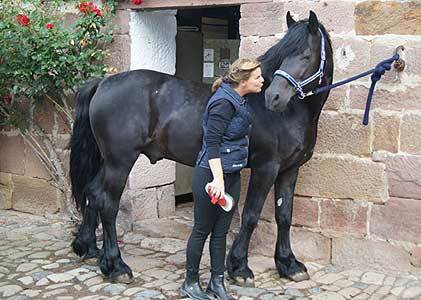 Our stallion H-S Major Tom spent 2 weeks at the famous Welsh Stud Millstone near Marburg. 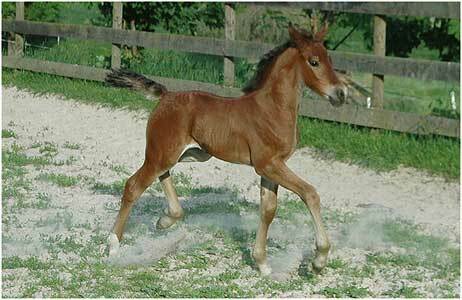 We are looking forward to his offspring there in 2013! 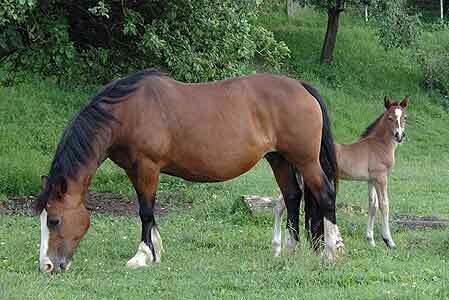 Today we used the beautiful weather to take some new photos from our yearling fillies Marian and Liza and the yearling colt Sam. 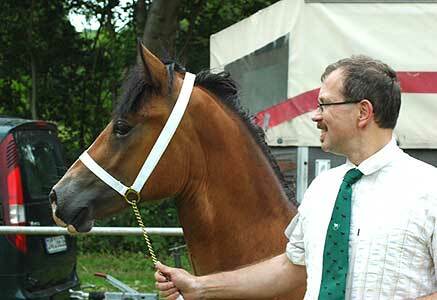 We presented Geler Glyndwr to the regional Stallion Licensing Commission in Alsfeld. 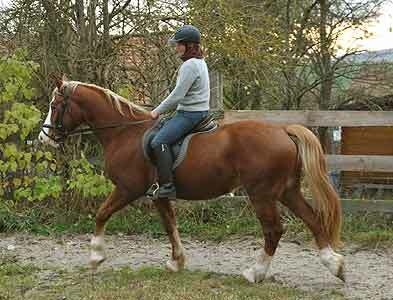 Although Glyndwr was still a little bit tired due to the long transport from Wales to Germany and the free jumping lessons we gave to him during the week, he presented himself very well to the commission. 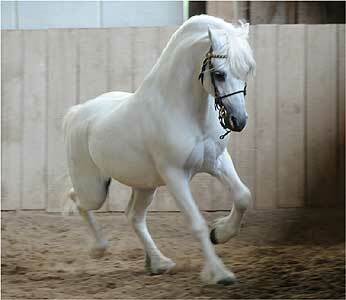 Finally he got the Stallion License also for Germany. 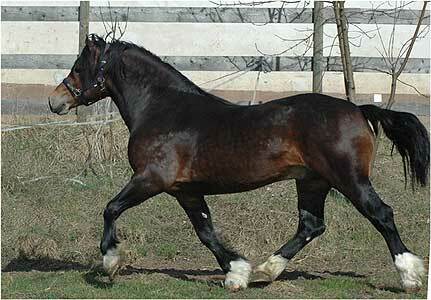 Especially his very well condition and his Welsh type were highlighted by the head of the commission. 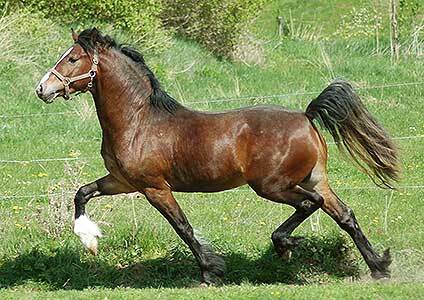 At the weekend we picked up Geler Glyndwr from the Eglwysfach Stud in Wales. 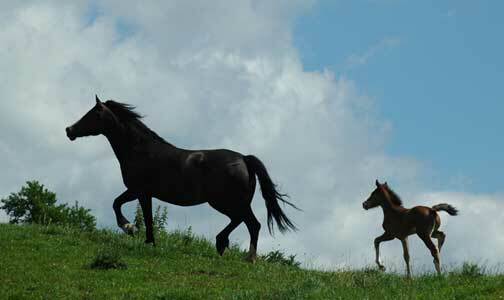 It was a long trip but it was worth to do it. 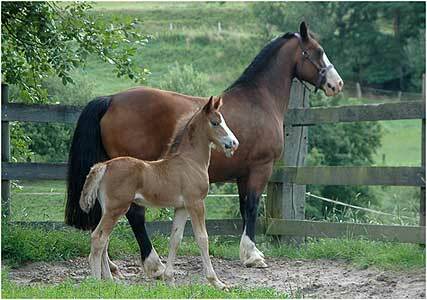 Glyndwr will be with us for the year 2012. 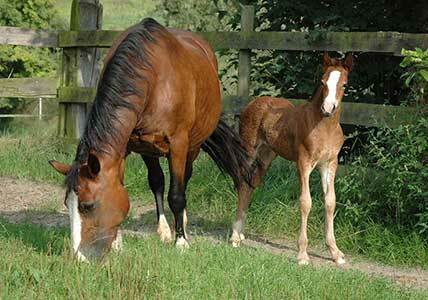 Everything run very well and we arrived with Glyndwr on Sunday late afternoon without any problem at our stud. 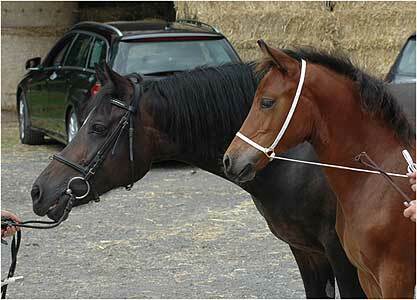 We would like to thank William Lloyd, Geler Stud, for his help to make the lease of Glyndwr possible and Mr. Elgan Evans, Eglwysfach Stud, that he left Glyndwr to us. 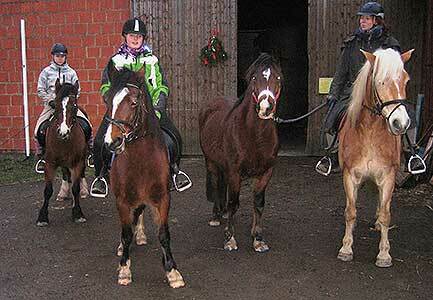 On our Way back to Germany we had the chance to stop with Glyndwr for a night at Danaway Stud. 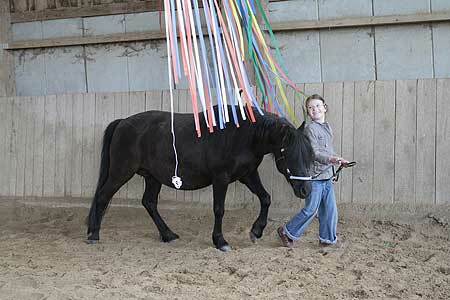 We would like to thank the Attrell Familie for hospitality and their help! 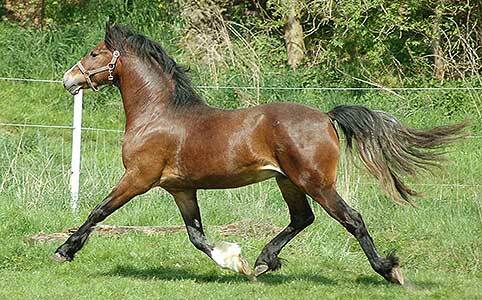 Glyndwr is out of the well known Derwen Desert Express daughter Geler Heti and by Fronarth Victor son Llechfryn Ffrwydryn. 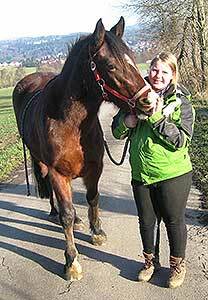 Today Bergtor Lady Kate moved to her new owner in Bad Iburg. 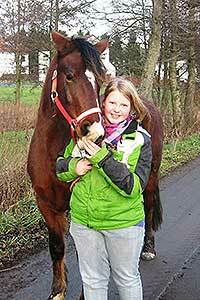 We are happy that her new owner is so kind and with lot of horse knowledge. 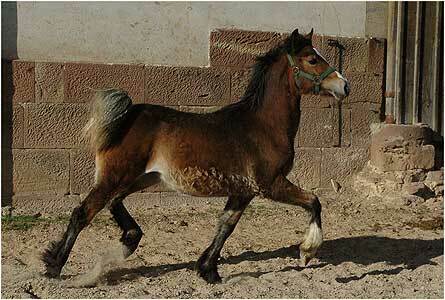 We have sold Bergtor Liza Minelli. 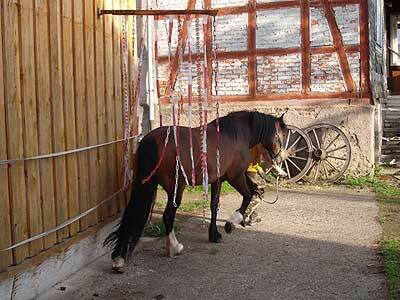 Liza will stay with us until Mai and will move then to her new home near Marburg. 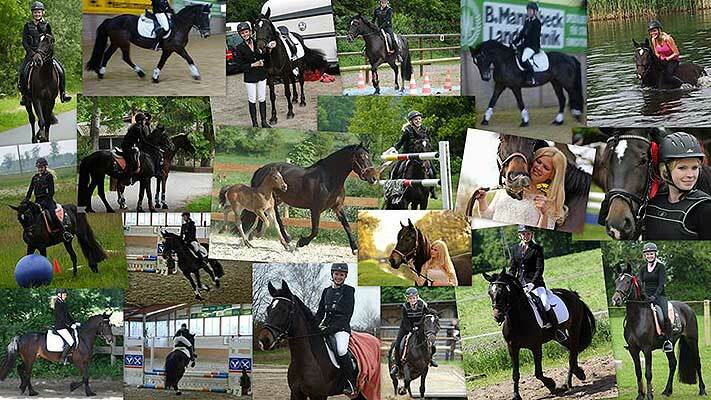 We wish the new owner Felicitas a lot of fun and success with Liza.